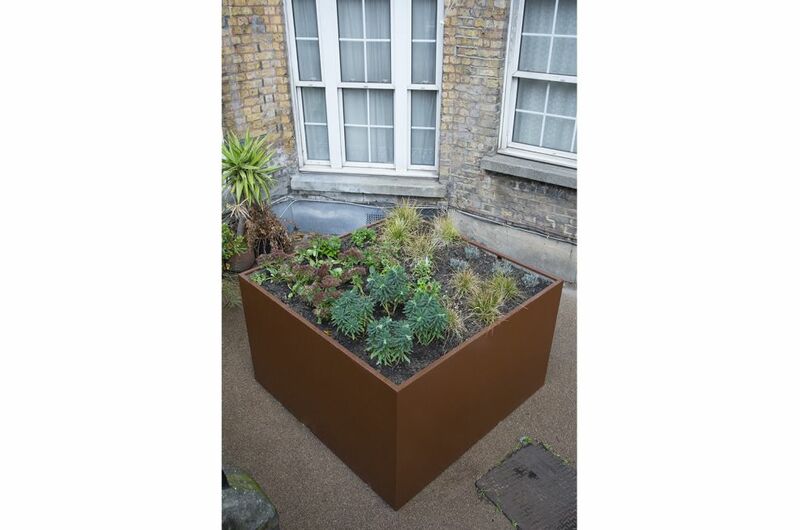 Bespoke powder coated steel planters were supplied to Devon Mansions, in the historic Victorian docks area between Tooley Street and the River Thames, to the east of Tower Bridge. 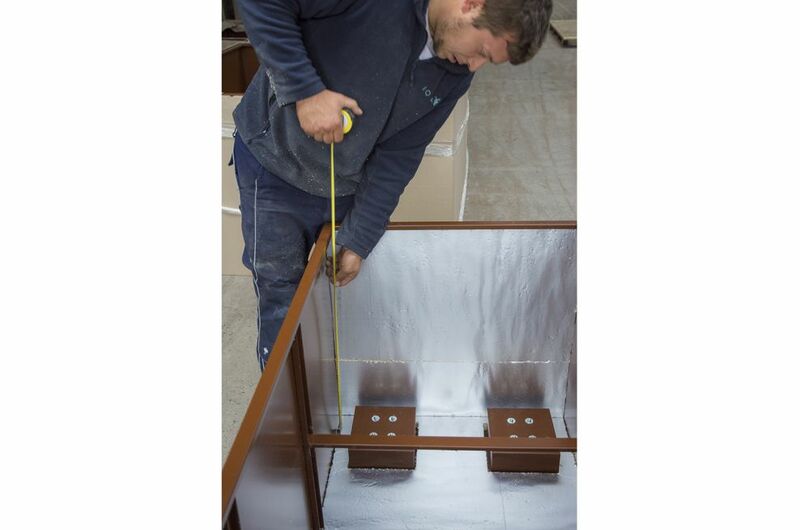 IOTA supplied 15nr. 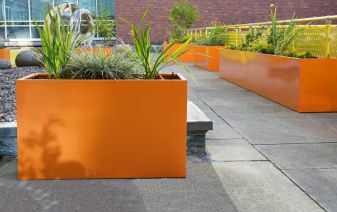 planters, of varying configurations, with dims. 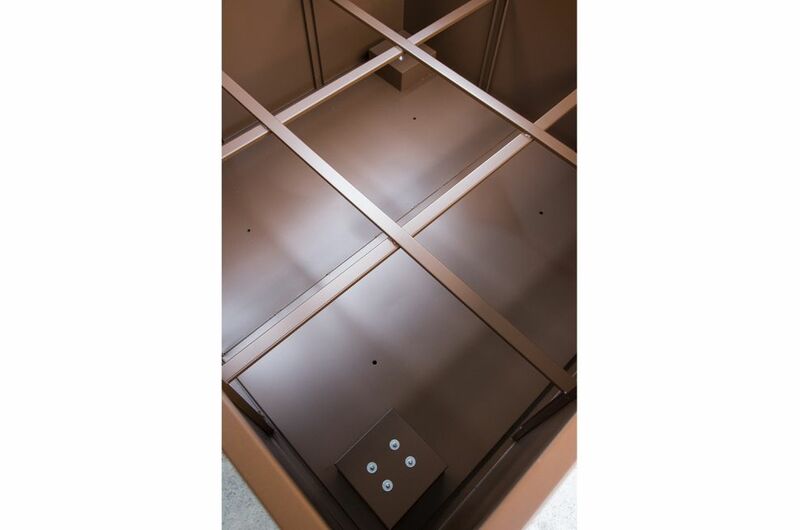 from: L/W/H 900mm, to L 1500 x W 750 x H 750mm, to the largest at L 1500 x W 1500 x H 900mm. 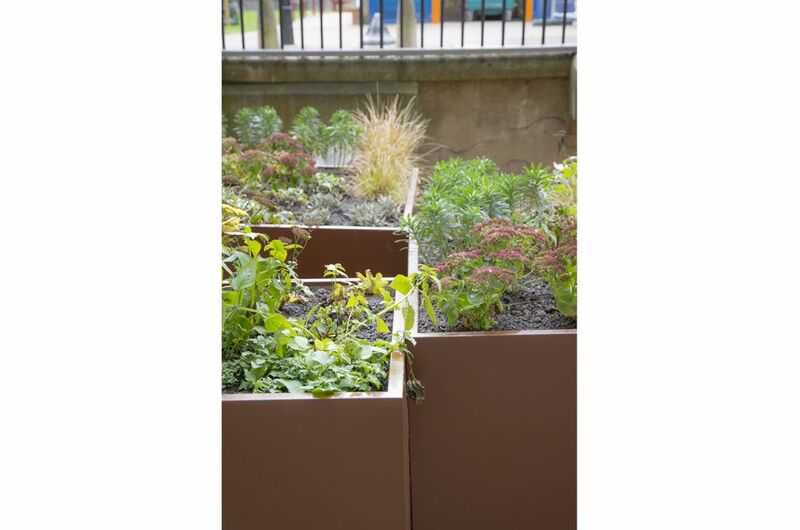 The planters were manufactured from 1.5mm thick Zintec steel, powder coated to RAL 8011 [Nut brown]. 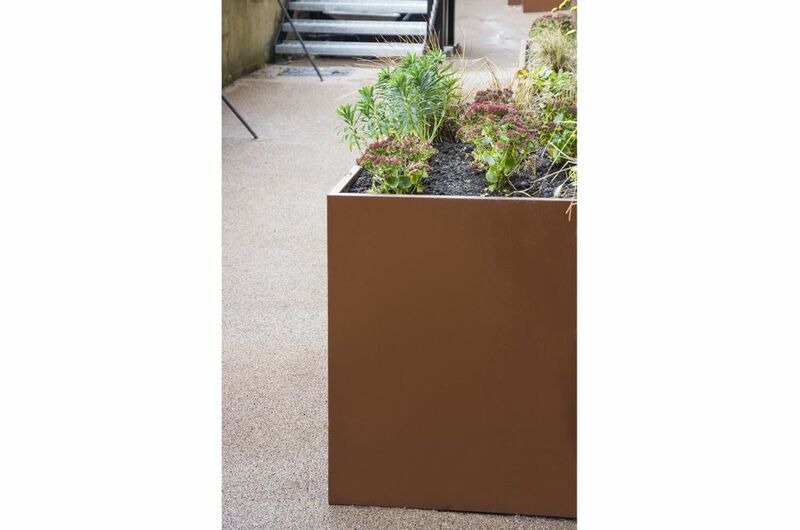 All planters were supplied with heavy-duty castors, and were lined with 25mm Celotex thermal insulation. 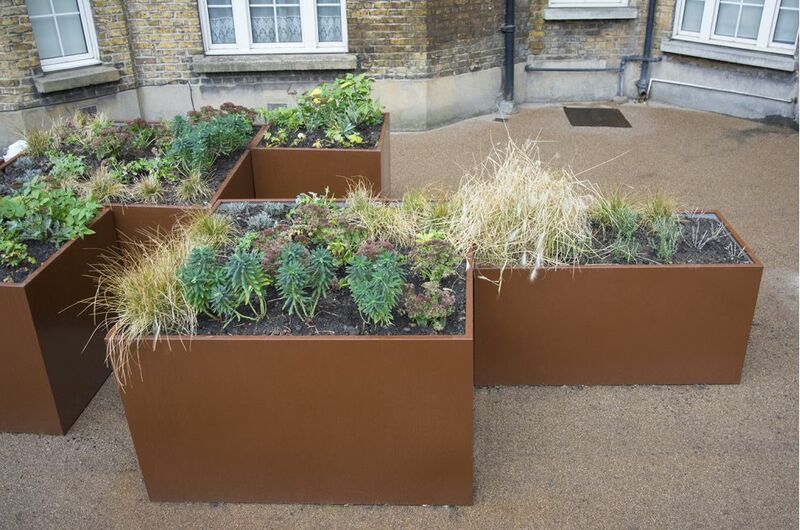 The planters were commissioned by Blakedown Landscapes. 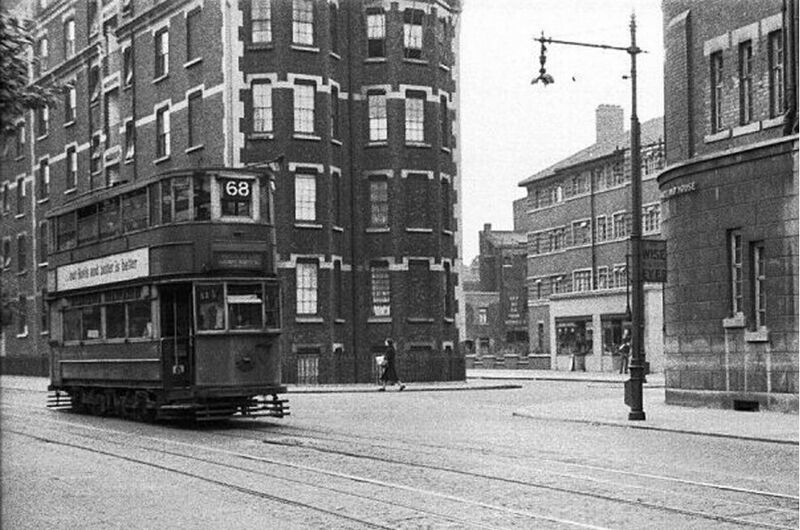 Devon Mansions comprises five separate, six-storey mansion blocks, all built in an identical style, situated along the south side of Tooley Street in Bermondsey, London SE1. 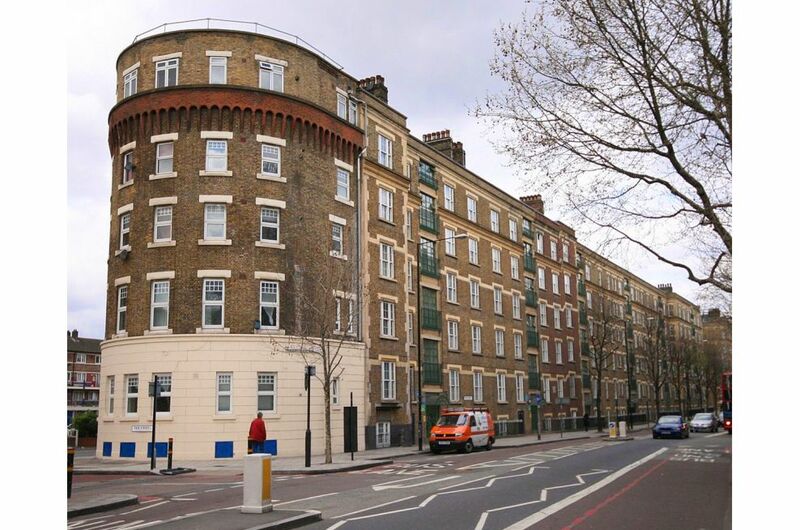 Opened in 1875, Devon Mansions was an early example of social housing, built to house workers from the sprawling Victorian warehouse complexes between Tooley Street and the River Thames. 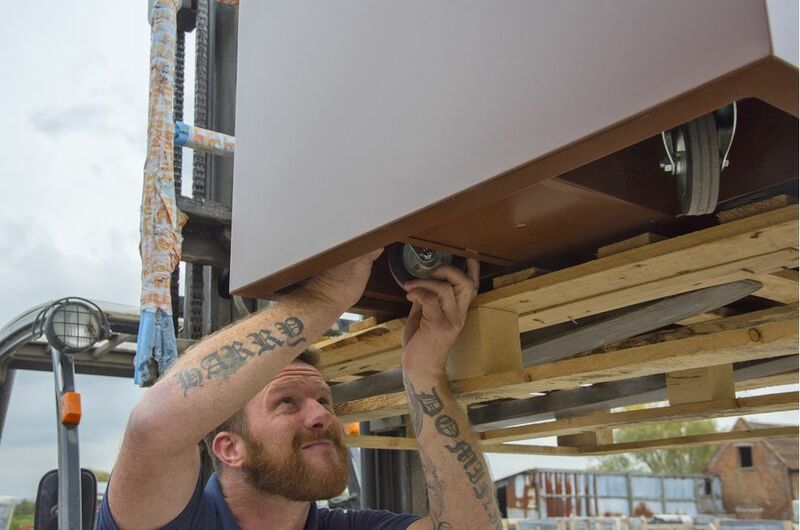 Today the freehold to Devon Mansions is owned by Southwark Council, and the property is managed by the Fair Community Housing Services Tenant Management Organisation [TMO].